Black flowers have long had a mystical and alluring appeal that has attracted noble and commoner alike, and been the subject of search of many explorers. Botanists and gardeners strive for centuries to breed the perfect black flower, with any success however remote usually fetching a considerably-high price on the market. Whether black flowers were considered to have ties with the occult, with faith or with merely looking impressive, the popularity that they once enjoyed has remained to this day at full force. They show no sign of becoming less-so, especially since botanists and scientists are able to come up with new and beautiful varieties at a rapid pace. It may interest you to know, then, that despite the popularity and great effort put into growing black flowers that they don't actually exist. That's right, there is no such thing as a truly black flower. Instead, what we call a flower is actually the result of a high concentration of pigmentation in the blossoms. 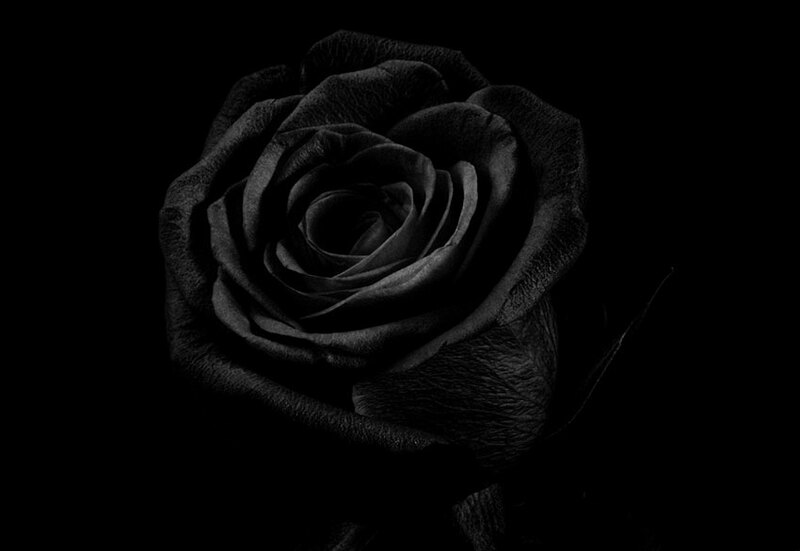 A black rose is in fact a very dark red rose. A black tulip, dark purple. Growing a flower from the seed with the intent of making it black is a technique that even master gardeners find it difficult to excel at, with much trial and error being required to produce results. Geneticists have more luck manipulating the genes of the plant themselves to coax the creation of black flowers, but they remain mere concentrations of pigment and aren't truly black at all. Since, unless you are a master botanist with great experience, it is nearly impossible to grow black flowers, it is necessary instead to purchase them from a florist or garden center if you desire them for your home or garden. The garden center won't offer many varieties of black flowers, and indeed you may have to settle with a dark purple that is still visibly purple from up close. The effect of extremely dark blossoms will still be had, however, and can make a worthy addition to any garden. Your local florist may carry certain varieties, although they are not the most common types to have around. You may need to order them specifically, especially if at short notice. Fortunately, online ordering can let you do this without having to stop by their shop, and can save you some time if you are pressed for it. The best place to enjoy black flowers is in your home or in your garden. Whether alone or combined with other colors and varieties, they will add a touch of elegance and mystery to whichever room or garden they are placed in. We recommend a vase for the coffee table in your living or sitting room, or perhaps matching ones for the end tables if you have them. A mantelpiece bouquet is a popular creation as well, and one definitely worth considering. Black flowers, specifically fresh tulips or roses, can be great in the bedroom to create a certain sensual ambiance that won't be lost on you or your spouse or partner. Always use a white vase to complement the striking vibrancy of the blossoms, although black also works well if required. Artificial silk flowers are a great option if you have difficulty finding live specimens. The fact that they neither age nor wilt means that your purchase will be around as long as you are, and won't require frequent replacement. In your garden it is best to keep black flowers in highly-visible sunny areas (so long as their species is not of a shade-loving variety). They will likely be the highlight of everything you've planted, so arranging other colors and species to enhance the presence and appearance will help to draw and keep the eyes of friends, family and anyone who stops by for a neighborly chat over the fence. One additional place to view black flowers is a botanical garden, if your city happens to have one. You will more than likely find at least one display featuring them, and can enjoy the fact that they have been arranged in a professional manner to create patterns and combinations everyone will love. Black flowers, with their historical appeal and dark, mysterious beauty, are perfect for both the home and garden. If you are wondering what species to choose for your home based on geographical location, or would merely like to look at various blooms for enjoyment, the Internet or local library are excellent resources. If you are interested in growing black flowers yourself, there are many botany courses that you can take which would arm you with the ability to do so. To engineer them, you'll probably need a degree in genetic biology, which is unfortunately a little harder to come by... although greatly rewarding. If you're looking to add some color to your life - check out the different types of flowers Brant Florist sells.